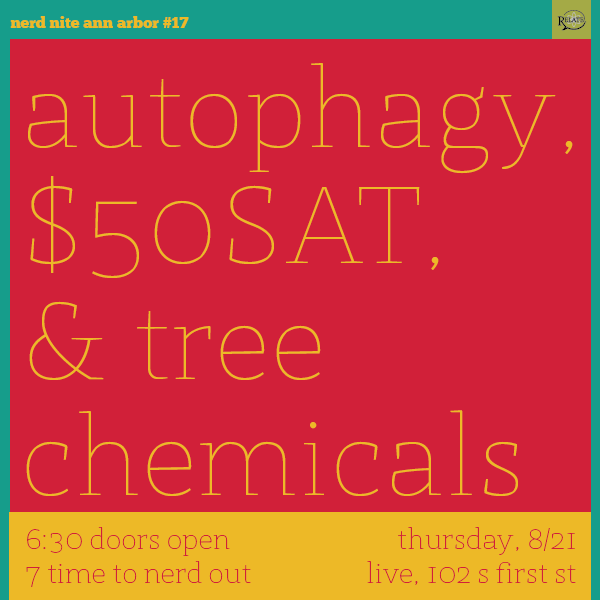 Nerd Nite is tonight and it's free (thanks AADL). You should totally check it out. Hurry though, it starts in just 45 minutes.